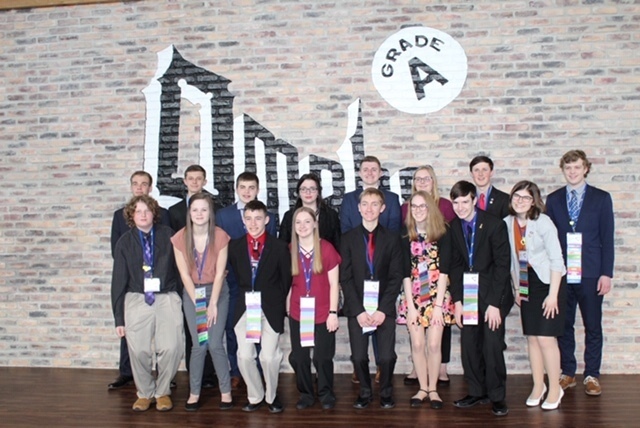 Fillmore Central was represented by 16 students at the State Leadership Conference held April 4-6 in Omaha, Nebraska. 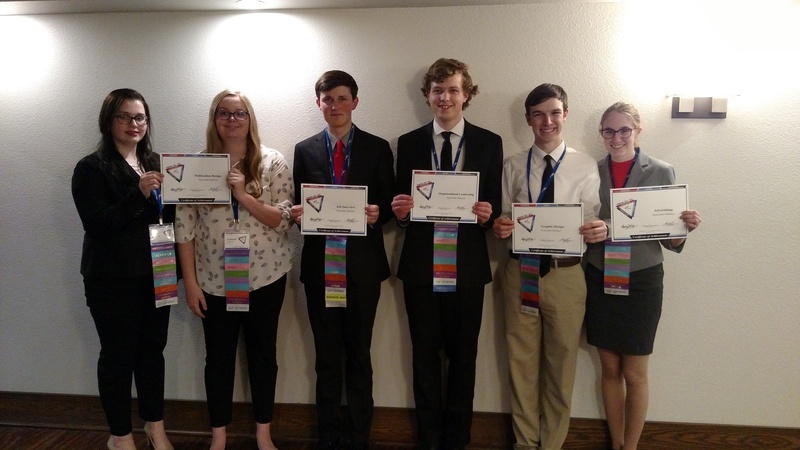 The group had a successful conference with 15 attendees going on stage to receive an award. The chapter received ten awards including Gold Seal Chapter Award of Merit and Sweepstakes Awards. 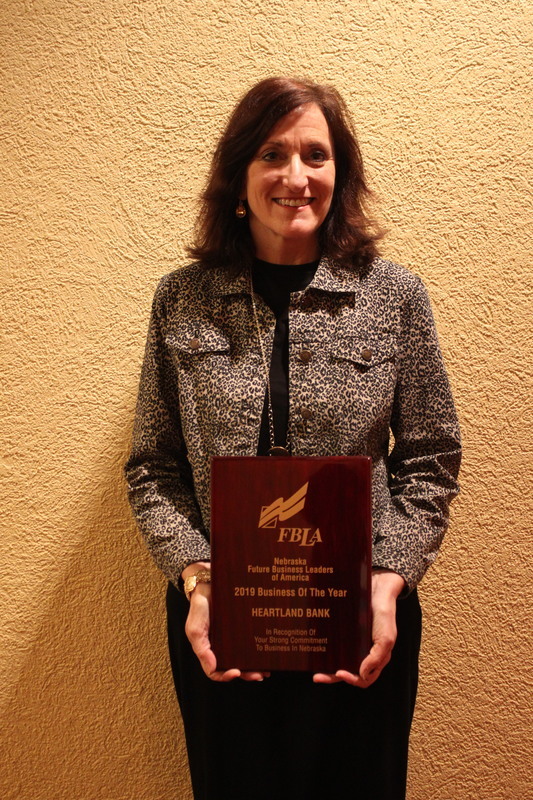 Val Poppert was recognized as a Star Volunteer, and Heartland Bank was named Nebraska FBLA’s Business of the Year (large category). The group was chaperoned by Val Poppert, Katy Nun, and Advisor Cindy Talley. 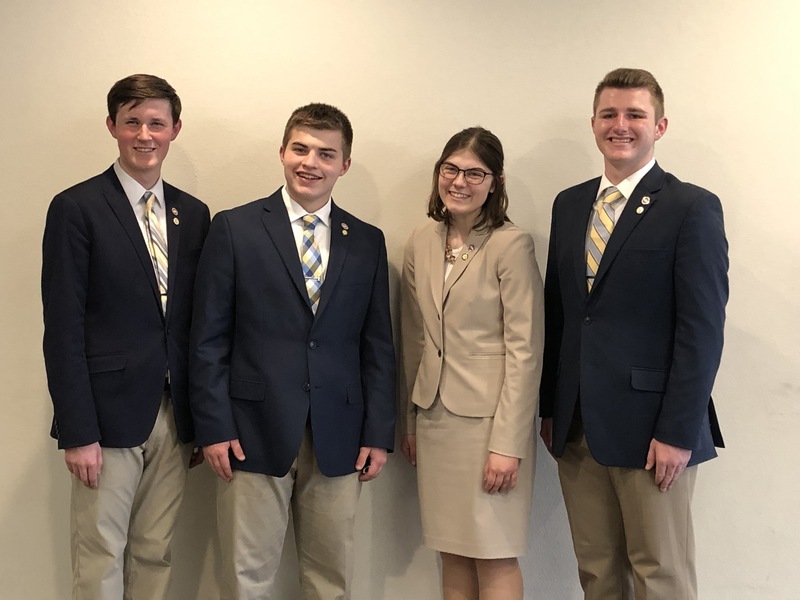 Students placing in the top three of their events qualify for nationals which will be held late in June in San Antonio, Texas. 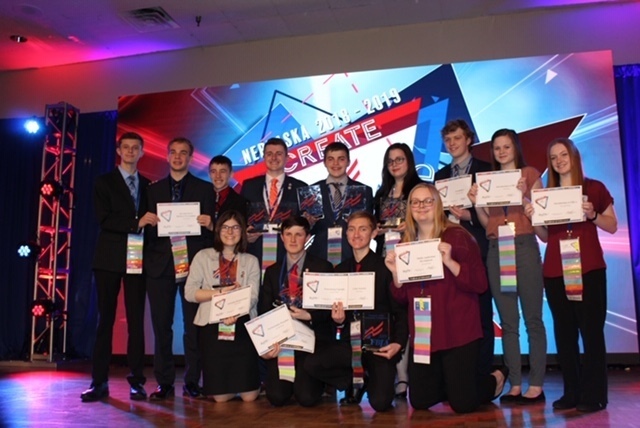 National qualifiers include Braden Myers, Wyatt Nun, Abigail Parten, Ethan Reinsch, Faith Lauber, and Trevor Meyer, and Ryan Poppert.